Another burst of “Advanced Degrees Are for Suckers” articles has hit the Internet. The Wall Street Journal profiled various law school grads who are un- or underemployed, and Gawker rebroadcast the story with a beyond-depressing image of a guy hanging himself. Bar associations say more lawyers are asking for tips on ways to apply their skills in other fields. When the New York State Bar Association originally created the Committee on Lawyers in Transition, it was meant to help attorneys re-join the profession after an absence. But when the economy declined in 2008, the committee changed its focus to help attorneys who were laid off and exploring other industries. A law degree is well known for being flexible, and is it really a sign of failure that lawyers are taking their skills elsewhere? Even the guy in the WSJ article who is a comedian is using his legal abilities. After all, a keen understanding of slander must help anyone in charge of writing punchlines. More after the jump! Image from Wikimedia Commons, public domain. Don’t get me wrong: The fact that law firms aren’t hiring or are turning to outsourcing is terrible news. The legal profession used to have a reputation for being reliable. That said, if people start figuring out new ways to use their degrees, then they’re the ones who have really learned something in school. They’re proving that a degree should open up multiple career avenues instead of trapping a person on a single career path. If you’re considering law school or about to start, Post Academic has some advice for you. At the very least, you can reassure yourself that your odds of employment are better than those of a PhD. 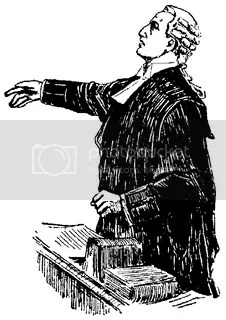 Subscribe to comments with RSS	or TrackBack to 'Lawyers Gone Wild … Or At Least Post Academic'. Spot on, I couldn’t agree with you more. most people I know have ended up doing something completely different from what they studied however their degree did help them get their.